From the October 2015 Issue Two brothers and a friend take a drive on New Year’s Eve. Run down truck. Dog in the back. It’s around midday when they reach a nature preserve. Woods to the left. Farm to the right. One narrow, snow-covered road splitting them up. A fox emerges, fresh out of the henhouse, prey in its mouth. The truck swerves and crashes; the dog jumps out to chase the critter into the woods and the men follow. 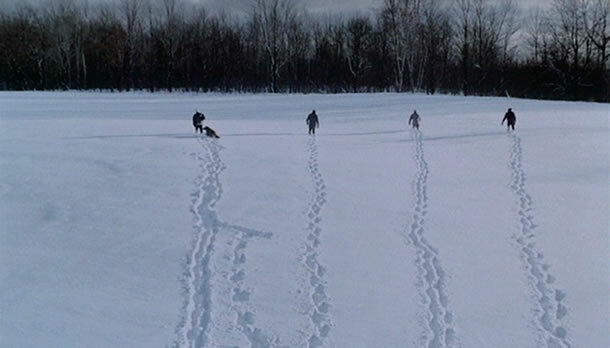 An inconvenience, a disagreement, a snowball toss and a discovery; a grand discovery and a morbid one. The plane wreckage is iced over and the pilot is dead, but the duffel bag is untouched. Its contents are toxic: $4.4 million. Grins, laughter, disbelief. The scene is pure fantasy, the wildest dream come true. The sack lies flat and the men look on while nearby crows linger, whispering of ruin and consequence. A strategy is arranged, as the money will be kept. The procedure is good. Clean. Practical. And it’s all quite simple. So very, very simple. A Simple Plan is a morality play of the sort where things go from bad to worse to irreversibly horrible. The escalation is slow and the stakes are high. We are placed amongst a small number of characters in a middle-of-nowhere town dealing with an extraordinarily delicate situation and the tension could hardly be tighter. Many elements are at play here. The secrecy of the main plot device lies at the heart of all things, but just on the periphery is a compelling story about a relationship between two siblings and one about their long dead father, whose shortcomings and aspirations weigh heavily on the minds of his children. “Evil” and “goodness” are questioned: misgivings turn to firm convictions without a moment’s notice and loyalties are in constant flux. As the web gets wider and the potential traps become more complicated, core characters become something we no longer recognize and the gradual manner in which this transformation proceeds is completely riveting. I’ve never seen Sam Raimi make a film like this and I never would have thought that he could pull off such a balanced work of subtlety and suspense. Best known for his goofy and highly energetic Evil Dead trilogy, his directorial hand here is steady throughout—subdued, but expressive in select moments. The material is bleak, but he presents it in a way that avoids both the oppressively pessimistic and the sensationally pulpy. In other words, his job is mainly to resist the urge that most directors might have to impose heavy-handed flourishes and just control the tone of what is otherwise a writer’s picture. Scott B. Smith pens a beautifully layered script. The topic of greed, its vice-like hold and the crippling guilt of the actions it spurs, is confronted with startling clarity. None of the main players are easy to read in their handling of the circumstances. They waver, jump to conclusions and become eerily cool-headed when you’d most expect mental chaos. One brother re-discovers his priorities while the other one redefines his own. The introduction of an ideal, wealthier reality causes people to suddenly degrade the relatively modest conditions they’ve lived under for years and to watch that shift occur is extremely fascinating. Also effective are suggested backstories and the haunting visual motif of an abandoned house, which enrich the melodrama and invigorate the emotional stakes of the film’s tragic climax. The cast is game with a collection of mostly solid performances, but only one deserves special mention and that is Billy Bob Thornton’s turn as the dimwitted—but not dumb—cagey— but not entirely—reclusive brother to Bill Paxton’s protagonist. Thornton has a very complicated character to play. He has the capacity to be entirely lost and require the guidance to find reason, but he also has moments of wry manipulation and clearheaded forethought. He’s frustrating and awkward, but ultimately sympathetic, as Thornton imbues him with a genuine sense of humanity. Entertainingly twisty without sacrificing intellect, A Simple Plan offers nail-biting revelations right alongside thought-provoking scenes of long gestating angst and evaluations of self-worth. A cosmic curve and a parable-like structure ensures that no wrongdoing goes unchecked, no sin unanswered for. It’s a familiar story, but masterfully told. 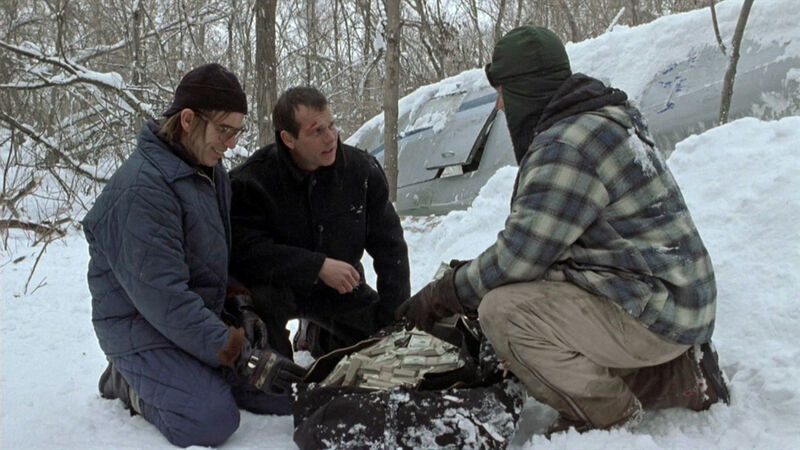 While the impulse may be to call it a lightweight mixture of Fargo and Affliction, such a dismissal would be overly simple and the film, like its characters’ increasingly intricate plan, is anything but. Tags: Byron Bixler, October 2015. Bookmark the permalink.